Did you know that return tickets from Europe to North America, South America, Asia, or Africa could cost you 200 euros? If you become our client you`ll know it! At Traffel, you`ll find the cheapest, long-haul flights originating in Europe. Our team monitors hundreds of travel websites, forums, blogs, ticket systems, etc., in different languages every day. Only the best deals are available on Traffel`-s real-time site. For each flight deal, we give you access to the site where you can purchase the tickets and we also set out a number of sample dates with the prices available. We sell you the information, not the flight tickets itself. But clients already know that buying a ticket is only a few clicks away from our site. You can save hundreds of euros on flights by using the information offered at Traffel.com. You will make up our annual subscription with the moeny you save on your first trip. Traffel.com saves you time and money! 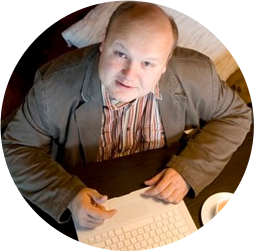 Indrek Kald has spent 18 years working at Estonia's biggest business daily newspaper as a journalist covering travel and technology. 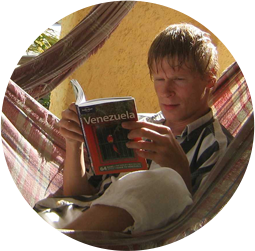 Indrek has visited almost 50 countries, most of them by using ridiculously cheap flight tickets. His personal best is flying from Europe to Tokyo and back for only 130 EUR. Impressive, isn't it? Cinzia Siig. Samuel Johnson once said that the use of travelling is to regulate imagination by reality and instead of thinking how things may be, to see them as they are. Cinzia has worked in the travel industry all of her professional life. It's a short life still but she truly believes that Samuel Johnson was right. 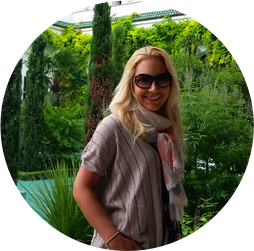 Fifteen years ago Cinzia founded a leading tour operator in Estonia. Henrik Aavik is an e-commerce, internet marketing, and business development professional. He is also the host of a weekly radio show about ICT start-ups. He has been mentoring start-ups in Estonia and Latvia. Henrik has started several companies.Currently he is working with the mobile development firm applaud.ee,and leading in its business in Estonia. (in Estonian) February 16th, 2019 in Äripäev: "2019. aasta alguse soodsate kauglendude ülevaade"
(in Estonian) December 31th, 2018 in Delfi: "Vaata, mis imehindadega tänavu Tallinnast kaugetesse sihtpunktidesse lennati"
(in Estonian) December 31th, 2018 in Postimees: "Traffel: ole varmas, kaugetesse sihtkohtadesse saab tihti imeodavalt lennata!" (in Estonian) December 31th, 2018 in Logistikauudised: "Millised olid lõppeva aasta soodsaimad lennudiilid?" (in Estonian) November 14th, 2018 in Digitark: "Odavad kauglennud üle terve maailma"
(in Estonian) February 9th, 2018 in Äripäev: "Kui odavalt on odavalt?" (in Estonian) January 3rd, 2018 in Delfi: "Reisiotsinguportaalid võtavad lennufirmadelt tööd, kuid peidavad endas ka ohte"
(in Estonian) December 30th, 2017 in Delfi: "Lõppeval aastal sai mitmesse kaugesse sihtkohta vähem kui 300 euro eest - vaata, kuhu mis hinnaga lennati!" (in Estonian) March 14th, 2017 in Äripäev: "20 Eesti parimat idufirmat"
(in Estonian) December 29th, 2016 in Delfi: "2016 oli supersoodsate hindade aasta - alla 300 euro maksvaid lennupileteid Tallinnast müüdi vähemalt 15 kaugesse sihtkohta"
(in English) December 22nd, 2016 in Contriber: "TOP 20 Startups in Estonia (To Keep Your Eye On) In 2017"
(in Estonian) December 16th, 2016 in Ole Rohkem: "Odavalt reisimise ABC"
(in Estonian) December 9th, 2016 in Meie Maa: "Traffeli abil ei jää ükski reisiunistus täitumata"
(in Estonian) December 7th, 2016 in Geenius: "Äriinglid valisid Eesti 20 parimat idufirmat"
(in English) October 20th, 2016 in ArcticStartup: "Cheap long-distance flights: Anyone?" (in Estonian) January 12th, 2016 in Äripäev: "Millised on 2016. aasta soodsaimad reisikohad?" (in Estonian) January 8th, 2016 in TV3: "Kuidas lennata Pekingisse, Tokyosse või New Yorki alla 300 euroga?" (in Estonian) January 6th, 2016 in Meie Maa: "Saarlane otsib üles ülisoodsad lennuhinnad". (in Estonian) December 4th, 2015 in Geenius: "Kuidas lennata New Yorki ja tagasi 276 euroga? Traffel teab". (in Estonian) February 17th, 2015 in Postimees: "Digiteenuste pakkujad peavad hakkama klientide asukohta tuvastama"
(in Estonian) January 23rd, 2015 in Eesti Päevaleht: "Kuidas üles leida kõige odavamad lennupiletid". (in Estonian) January 1st, 2015, in Eesti Ekspress: "Eestlased müüvad globaalselt soodushinnainfot". Please don’t hesitate to get in touch with us if you would like further information on our marketing partnerships, have ideas and feedback that you would like to talk to us about, if you want to get a quote from a Traffel expert in your article or review Traffel services. We want to promote Traffel through like-minded travel blogs and websites that are fully functioning and visually stunning. We are looking to develop partnerships with well-maintained quality websites that will represent the brand and website at a high standard. If you have a website or an email database list, you too could share in this success by joining the Traffel affiliate program. Joining is simple and it could earn you money while you sleep. Affiliate marketing is an easy, low-risk/high-reward opportunity for earning a great commission! We’ll get back to you about your application as soon as we can. Feel free to email info@traffel.com with any queries. This site, and each of its modules and reports, is the copyrighted property of Traffel Ltd (registry code 12730057), address Kolde 23, Tallinn, Estonia, e-mail: info@traffel.com . None of the content or data found on this site may be reproduced, republished, distributed, sold, transferred or modified without the written permission of Traffel Ltd. In addition, the trademarks, logos and service marks displayed on this site are registered Trademarks of Traffel. The content in Traffel website or its newsletter may not be sold or redistributed without the written consent of Traffel. It is intended for the sole use of the individual who has purchased one of the plans for paid newsletter. Traffel makes every effort to use reliable and comprehensive information but we make no representation that is accurate or complete. In no event shall Traffel and its partners be liable for any damages, losses, expenses, loss of data or profit caused by the use of the content found in Traffel newsletter or its website. Traffel has no obligation to notify when the information in the content changes. Traffel website may contain links to sites that are not maintained by us. While we make every effort to include links to only those sites that are in good taste and safe for our visitors, we do not regularly review materials posted at such sites. These links are provided solely as a convenience to you. We do not necessarily endorse all of the materials appearing on such sites. We shall not be responsible for, and we make no representation regarding, the content on such sites. If you choose to link to any third-party site, you do so at your own risk. Under no circumstances, including, but not limited to, negligence, shall we, and/or our providers or distributors, be liable for any damages to, or viruses that may infect your computer equipment or other property on account of your access to, use of or browsing on the Traffel website, or your downloading of any materials, data, text, images or other information from the Traffel website. In no event shall we, and/or our providers or distributors, be liable for any injury, loss, claim, damage, or any special, punitive, indirect, incidental, or consequential, damages of any kind (including, but not limited to, lost profits or lost savings), whether based in contract, strict liability or otherwise, that arise out of or are in any way connected with the use, or the inability to use, the Traffel website or the services or materials on Traffel website, even if advised of the possibility of such damages. You may only use this site for legitimate business purposes and shall not use this site for any other purposes. This site and the content provided in this site may not be copied, reproduced, republished, uploaded, posted, transmitted or distributed without the written permission of Traffel. Unauthorized use of this site and/or the materials contained on this site may violate applicable copyright, trademark or other intellectual property laws or other laws. You must retain all copyright and trademark notices, including any other proprietary notices, contained in the materials. The use of such materials on any other website or in any environment of networked computers is prohibited. Payments can be made by Visa, MasterCard, American Express and Maestro cards and any other methods which are clearly advertised on the website. You can also choose to pay with PayPal. When selecting this option at checkout, you will be directed to the PayPal site to 'Log In' and review the amount shown before clicking 'Pay Now'. Once this transaction is complete, you will then return to Traffel website. You confirm that the credit/debit card that is being used is yours or that you have been specifically authorized by the owner of the credit/debit card to use it. Once payment is processed, the subscriber will be sent an e-mail with payment confirmation and the subscription will be activated. All the details of the process can be found on Traffel website. Furthermore, we will take reasonable care, in so far as it is in our power to do so, to keep the details of your order and payment secure, but in the absence of negligence on our part we cannot be held liable for any loss you may suffer if a third party procures unauthorized access to any data you provide when accessing from the website. Prices shown on the website are in Euros. All prices displayed are exclusive of VAT unless otherwise stated, but VAT will be charged where applicable at the prevailing rate on the invoice date and the relevant details will appear on the invoice. Discount codes cannot be used in conjunction with any other offer unless otherwise stated. We offer free trial period to ensure that the service is something you want before you make the payment. We send out a reminder message to subscribers prior to the expiration of the free trial period and therefore we generally don´t offer refund for our products once you have passed the trial period and chosen to continue with the product. You are contracting with Traffel Ltd, registered in Estonia. The legislation of the Republic of Estonia applies to the legal relationship between the Subscriber and Traffel Ltd, litigation is subject to Harju county Court. Traffel may at any time modify these terms and conditions and your continued use of this site will be conditioned upon the terms and conditions in force at the time of your use. Traffel understands that your privacy is important to you. Traffel is committed to ensuring that your privacy is protected and that we fully comply at all times with the Data Protection Act 1998 and the Privacy and Electronic Communications (EC Directive) Regulations 2003. When you subscribe to one of our plans (monthly, 6-month or 1-year) we need to know your name, address, e-mail address, your credit card number and expiry date. Optionally we would like you to fill details like birth year, gender, occupation and other personal interests. We gather this information to allow us to process your registration. The relevant information is then used by us and our sub-contractors to provide you the newsletters you have ordered and to communicate with you on any matter relating to the conduct of your chosen plan. We and our partner companies may also wish to provide you with information about special features of our website or any other service or products we think may be of interest to you. You can also unsubscribe from our list or manage your preferences at any time by clicking in the footer of out newsletter e-mail, or by e-mailing info@traffel.com . We may also want to provide you with related information from carefully selected third parties we think may be of interest to you. To subscribe to our newsletter on our website you will need to have cookies enabled. If you don’t want to enable cookies you can still enjoy browsing our website and read our blog. Security is a major issue for anyone purchasing on the internet. You need to know that a website is legitimate, and transactions are secure before you buy. We keep your information confidential. The internal procedures of Traffel cover the storage, access and disclosure of your information. Traffel has the largest collection of carefully selected long-haul flight deals originating in Europe. Digital nomads, people who can work in independent locations. People who value time and money and who don`t want to pay too much for traveling. People who are tired of spending countless hours looking for the best deals. Our clients no longer have to search for information from different websites. Traffel keeps them continuously informed about the best deals available. To start, you subscribe, pay and get a personal account to Traffel. This will enable you to see all of the best deals available, sample dates and links for the best sites to buy your tickets. Please note: Traffel does not book your tickets. You will need to do this yourself. We will, however, direct you to the portal/website where this price is available. We also send out a newsletter to keep you informed with the best cherries we`ve picked for you, and perhaps even give you some inspiration on where to travel next. Subscribing to Traffel is fast and easy. The only thing you need to do is to choose between two different plans: 24h access to our database for 4,90€ or permanent subscription for 7,90€/per month. You can also pay for an enitre year in advance and get access for as only 5€ per month. What`s the difference between the different plans you offer? For 4,90 eur you get one daily ticket to see all the offers available. 7,90 eur is a monthly payment plan and for 60 eur you get access to all of our offers for 1 year. Why should I choose Traffel instead of other websites? Traffel has the biggest and best collection of extremely cheap long-haul flight options. All other sites have less options and less appealing offers. Sites like these fund themselves with advertising and do not have to show all of the best deals. Finding deals takes time, so they feel they only have to list a few. Also, sites that show affiliate deals earn money from those deals. They often do not show deals that do not offer affiliate fees. We are (to the best of our knowledge) the only website that asks money from our users and offers as many deals we can find. We truly do work hard for your money. Why you can purchase tickets from different sites like Momondo, Kayak, Skyscanner etc? Before promoting each deal we search for thebest available rate for you to purchase and we direct you there. Some days it’s cheaper to buy from Momondo, while other days it may be cheaper to buy from Kayak or other sites. We direct you to the correct link/website where you can purchase your ticket. What is the average difference between your best deals and the regular price? We`ve noticed that the difference between the regular price and our price is sometimes very big - it can vary between 300 to even 700 euros! For instance: a flight from Helsinki to Honolulu in Hawaii costs around 1000 euros, but Traffel has offered it for as low as 326 euros. Flights from Milan to different cities in Brazil usually cost around 500 euros. Lately, however, we have found offers for 250 euros. Return tickets from Madrid to Maldives normally start from 600 eur, but we have had deals that cost ony 230 euros. You usually pay more than 400 euros to fly from London to China, but clients of ours pay less than 200 euros. Therefore, we suggest you subscribe to our yearly plan and be constantly informed with all the great offers we have. The purchase of any of our subscriptions plans will more than pay for themselves with your very first trip! How often the deals expire? The deals we find are so great that they usually sell out quickly. The deals marked in grey are expired deals. Can I set alerts from my hometown or to my preferred destination? Not yet, but we are on our way to launch this feature soon. How can I contact Traffel? The best way to contact us is through e-mail: info@traffel.com or by choosing the Contact Us form LINK on our website.